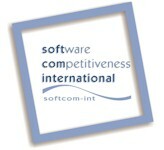 Software Competitiveness International S.A. (Soft Com International), is a rapidly growing, innovative Software Company, located in Athens. Through our team, of highly motivated Software Engineers with a strong technical background and long experience in complex international projects, we provide to our customers, both locally and globally, technical excellence and valuable services. In the year 2018, among other company’s achievements, we continuously increase our team and our international presence establishing new and very promising long term cooperation and expanding the existing ones in very promising technological and market areas. in the area of Connectivity and/ or ADAS and/ or Navigation, from our company’s premises in Athens. The successful candidates will be part of a team of highly qualified professionals, working for automotive software, established in Greece (Athens), being involved in the full software development lifecycle. They will have anenablingin market- and product- specifics in Germany or in Greece. [Για να στείλετε το βιογραφικό σας, κάντε κλικ εδώ. ], asap. benefits, and work in a challenging multinational environment.